A land of mythic legends and dark tales, Romania is a beautiful country that impresses with its fine collection of medieval monasteries, character-filled castles, and age-old churches. A sophisticated country filled with architectural beauty and trendy coastal resorts, visit Romania today with your family by getting on our fascinating Europe vacation package 2019. Bucharest isn’t an especially magnificent city. The endless bullet holes that scar the faces of many of its buildings reveal the tragic past that Romania experienced during the previous communist regime and uprising. 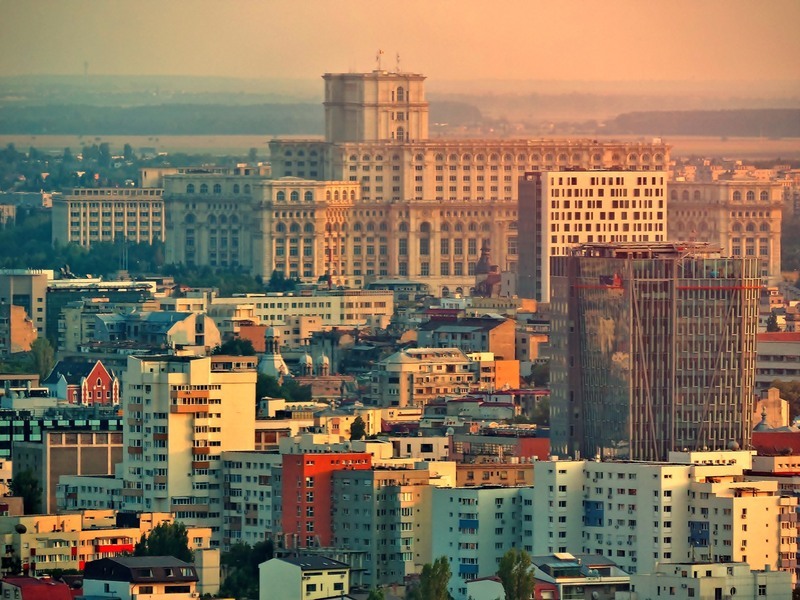 Bucharest however, is very up and coming. Hipsters swig coffee while reading classic literature through oversized spectacles at the many trendy coffee bars in the city’s old town. 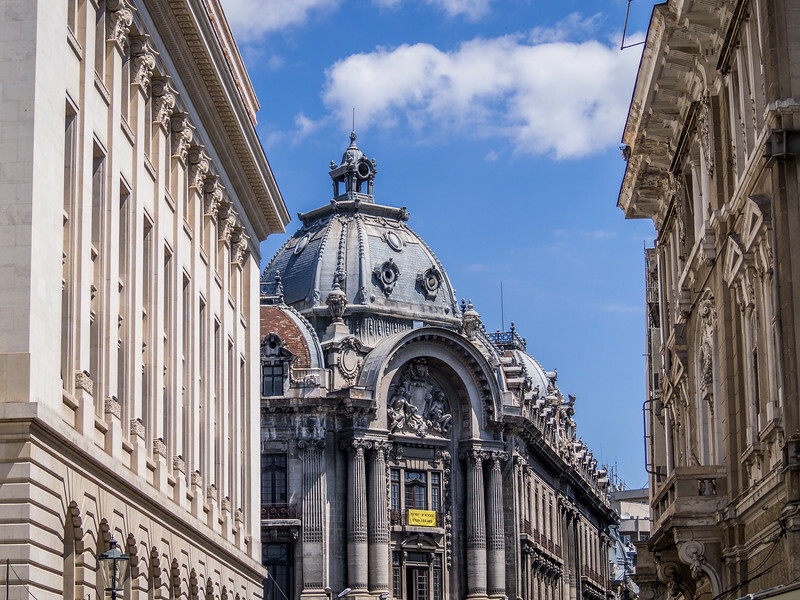 A great array of eccentric stores, bars as well as international restaurants have really put Bucharest on the map as a destination for a weekend break. 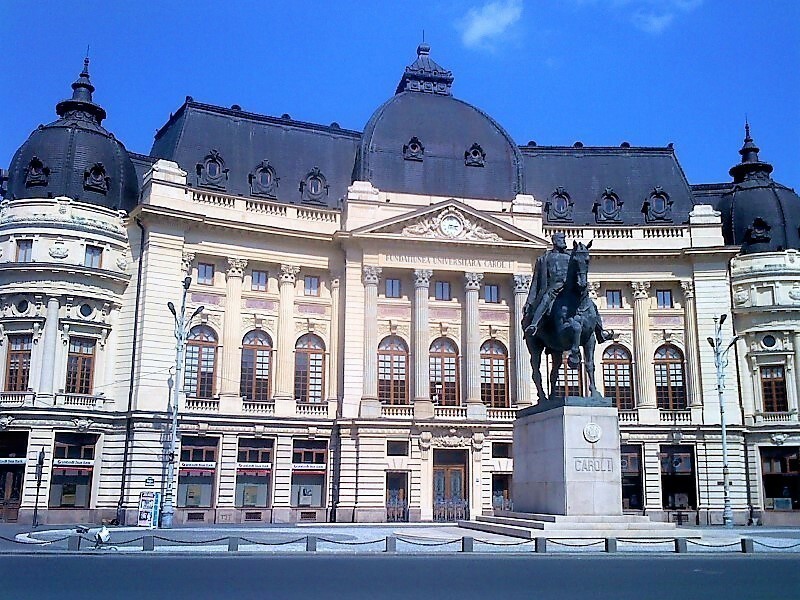 The city offers a number of museums and free walking tours, providing the tourists with a great insight into Romania’s history. In case you feel tired of the “big city” vibes, there are a number of easy day trips from the city that you can take. Consider heading to Valea Calugareasca, one of the top producing wine regions of the country to spend an enjoyable half day wine tasting and relishing local delicacies while in the area. A famous vacation destination for Romanians due to the numerous skiing and hiking options in the area, Siniaia is a scenic little mountain top town. One can easily cover the entire town in a day. 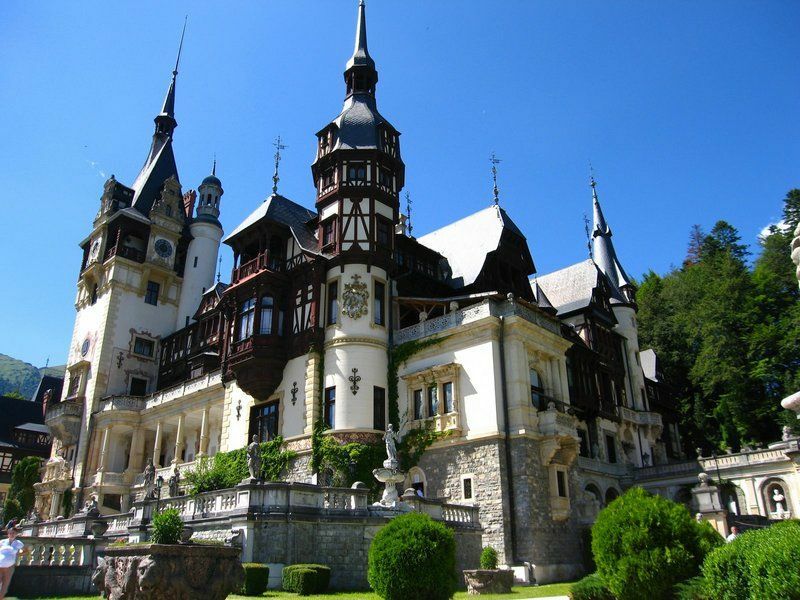 Though Peles Castle is one of the most famous tourist attractions in Romania, it is rarely busy so you do not really need to rush to get there. 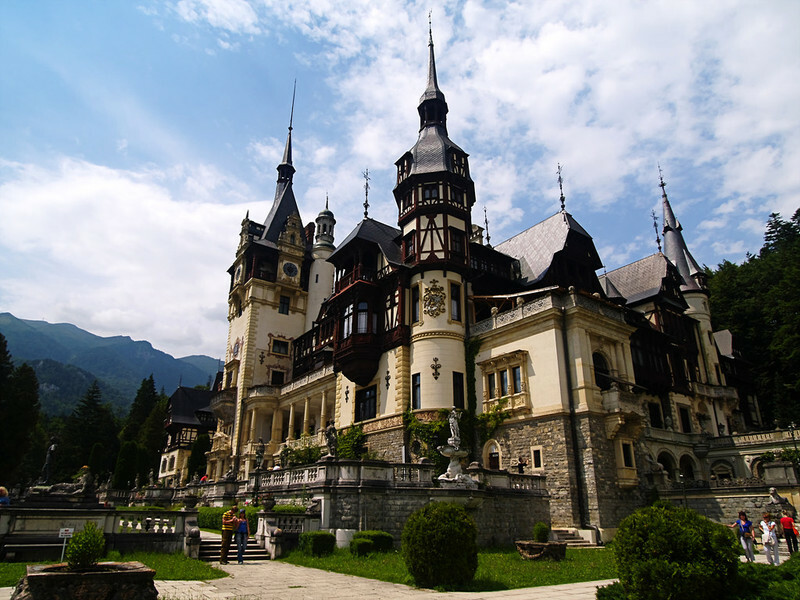 Either drive or board the train to Sinaia station, the travel will take you a little more than an hour. Head up the stairs facing the station and directly follow the signposts to Peles Castle. 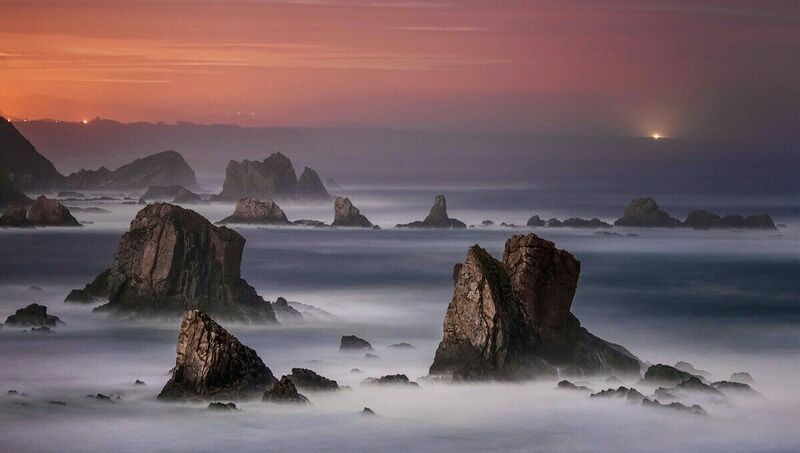 The journey will take you about 30 minutes. At the foot of Peles castle sits Sinaia Monastery, which is an Eastern Orthodox building that dates back to the 16th century. Though granted there are a number of wonderful churches and monasteries throughout Romania, the buildings and interiors within the complex are truly spectacular and definitely worth a visit. Sample traditional local cuisine in one of the many affordable and top quality Romanian restaurants in the town, and make sure to not miss wandering through the glorious 18th century Sinaia casino and its neighboring gardens. The ancient town of Brasov is a fascinating destination in itself, however, it also acts as an amazing base for wider exploration in the area – especially for day trips to the world-famous “Dracula’s Castle” in the village of Bran, and the disintegrated defensive citadel at Rasnov. The city is known for its fortifications and scattered around it you will find remnants of these medieval defences – from intricate gates which mark the entrance and exit into the city limits to the remnants of the former defensive walls. The historical center is relatively compact, and you can explore it entirely in half a day. Begin by taking a walk into the central plaza of Piata Sfatului and enjoy strolling the old cobbled streets that surround it, occasionally immersing into the many splendid Eastern Orthodox churches. Situated in the center, the “Black Church” is the oldest gothic church in the country and the murals and paintings are awe-inspiring. Brasov also boasts its very own Hollywood sign which you can hike up to. From here, you are a-top mount Tampa and will be greeted with splendid views of the charming villages of old Transylvania below. 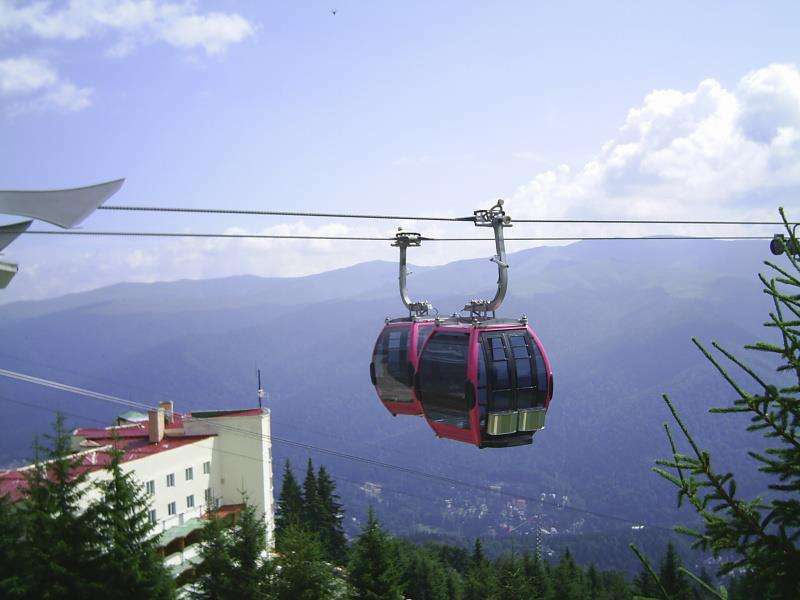 Those who want to enjoy views without much hard work, there is also a cable car which rides up the mountain from Casa Padurarului. 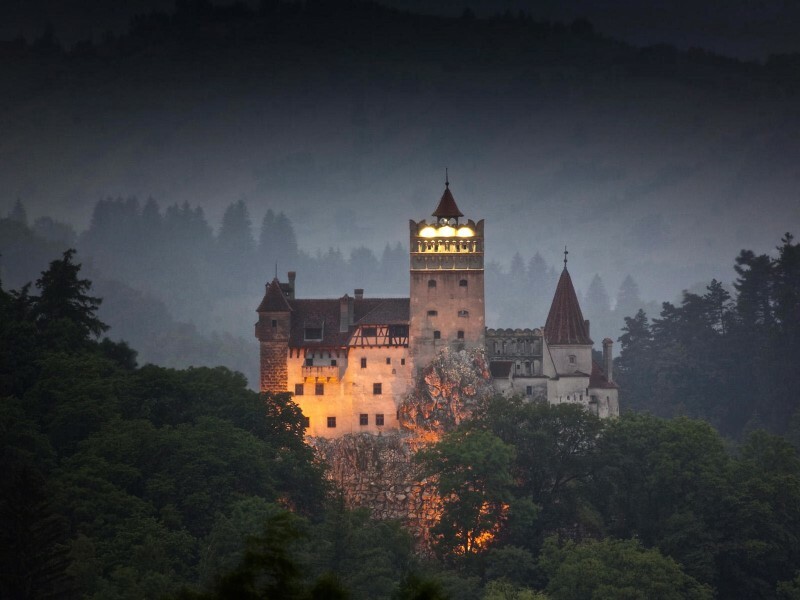 Bran is a compact and extremely touristic town, however, a visit to the renowned Dracula’s castle is undoubtedly on the “must see” in Romania bucket list. Spend the morning exploring the castle and its grounds before you head back to the bus stop to visit Rasnov. There is also an adorable little “traditional” village exhibiting how peasant life in rural Romania used to be. There are often fairs here selling local delicacies and handicrafts which, though a little expensive than elsewhere in the country, are lovely to see. 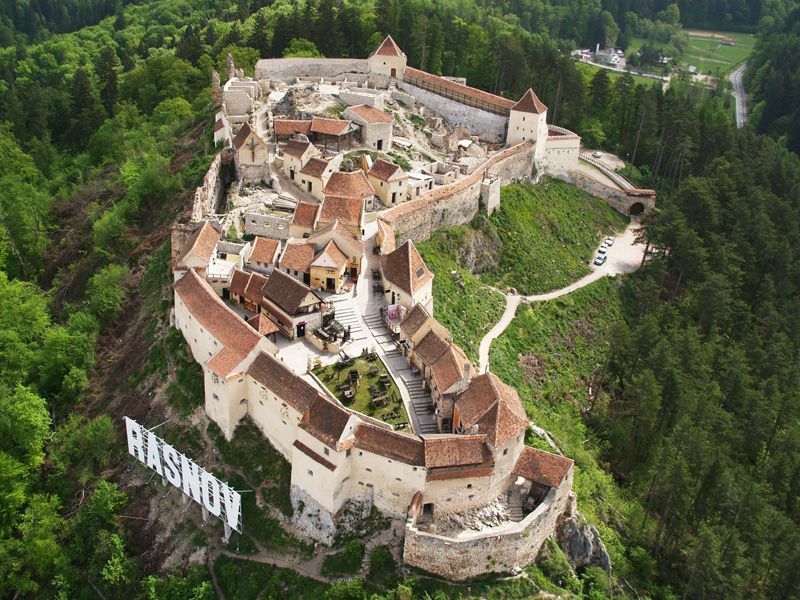 On reaching Rasnov, wonder once more at the country’s plagiarised Hollywood signs and make your way to the citadel. There is a lot to do in Rasnov in order to occupy your remaining day. Nature lovers can enjoy the natural beauty inside the Valea Cetatii caves, or hike Postavarul massif while families can enjoy the remains and replicas on display at the Dino Park. 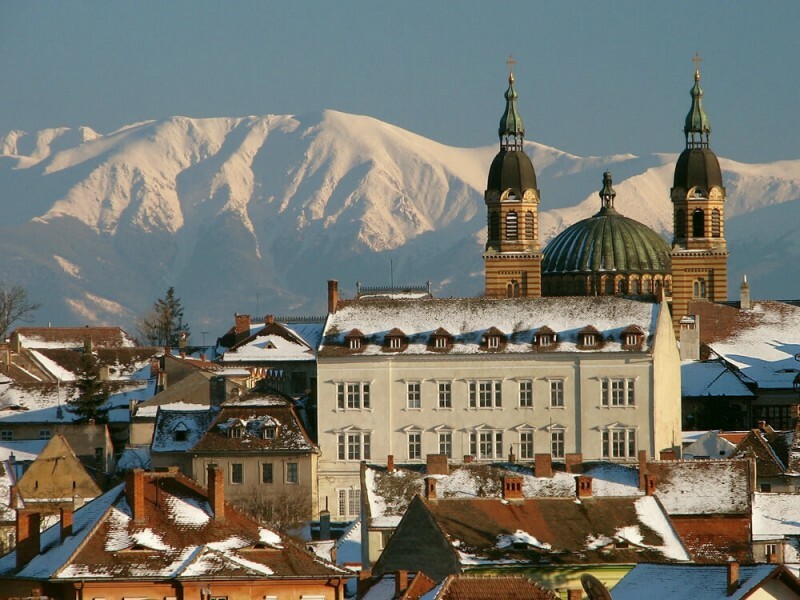 Sibiu is an old Saxon city which is best explored on foot with the most renowned attractions situated within a short walking distance of each other. This scenic little place regularly marks its presence in global “best cities to live in” polls and is home to a number of medieval piazzas and churches. Perhaps the most distinctive highlight in the area is Sibiu’s “bridge of lies”. It is a bridge built in 1859 which, according to the legend, will collapse just in case anyone standing on it starts to tell lies! 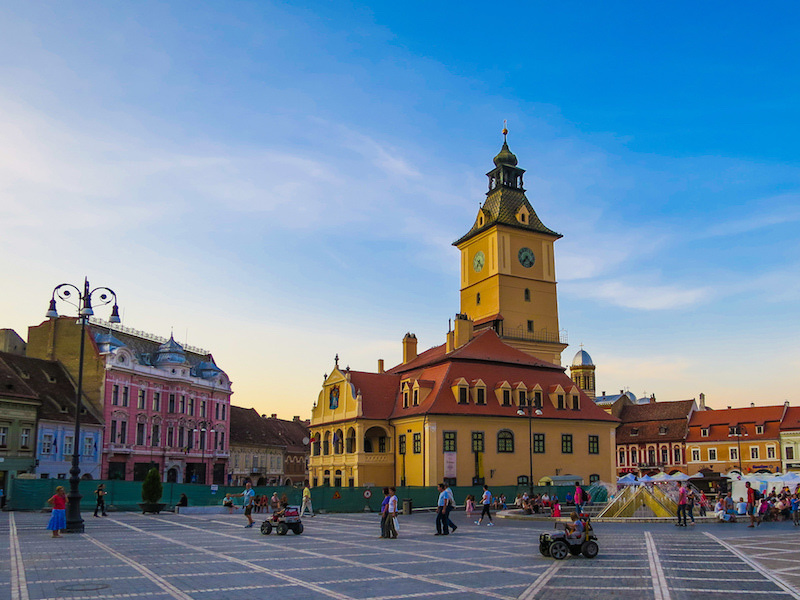 Sibiu is also the perfect base for exploring not so known nearby Transylvanian villages and the fortified churches of Cisnadie and Cisnadioara, both located less than 10 miles away. The site of Dracula’s birth, Sighisoara is although small, but will turn out to be your favorite stop off on your journey through Romania. 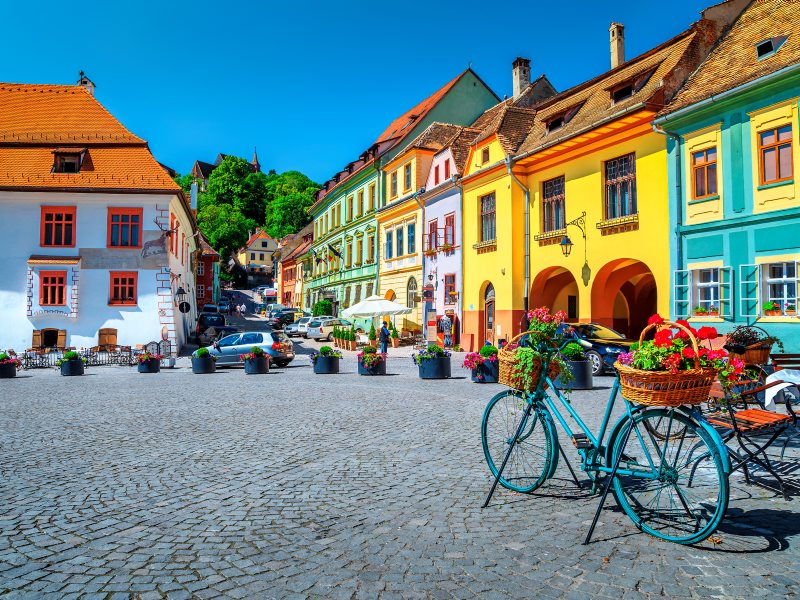 Wander the charming, narrow cobbled streets and pastel-hued houses that makeup Sighisoara, and sip your coffee as you relax in the dining establishments with ancient piazzas which are centuries old. You can explore Sighisoara in a day heading up the seemingly endless stone steps towards the “church on the hill”, praise the design of the clock tower, the charm of the town’s streets, and click that mandatory selfie in front of Dracula’s former house and birthplace before you make your way exploring the nearby Saxon villages of Biertan and Viscri. Noticing Romanian country life in these quaint villages offers a fascinating insight – farmers still tend to their crops with old-style equipment and use horse-drawn carts in order to get around their fields. The villages are extremely picturesque and very delightful to explore.